China Southern operates 500 aircraft out of its Guangzhou hub and is a member of the SkyTeam, making Skyteam a powerful alliance in Asia. Internationally the carrier flies the Airbus 380, Boeing 777-300 and Boeing 787, one of the few carriers to offer all three. Reward space is plentiful as are inter-China connections. Departures in North America can be made from JFK, LAX, SFO and Vancouver. 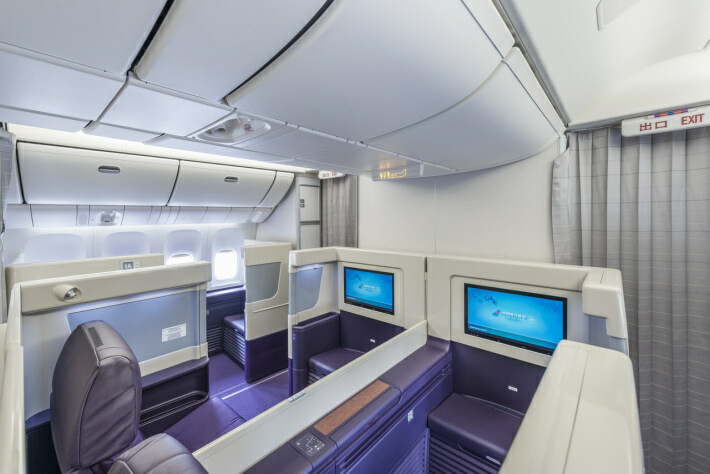 The A380 and 777-300 serving the North American market have first class suites. Four in row one of the 777 and eight in the first two rows on the lower deck of the A380. Configuration is 1x2x1. 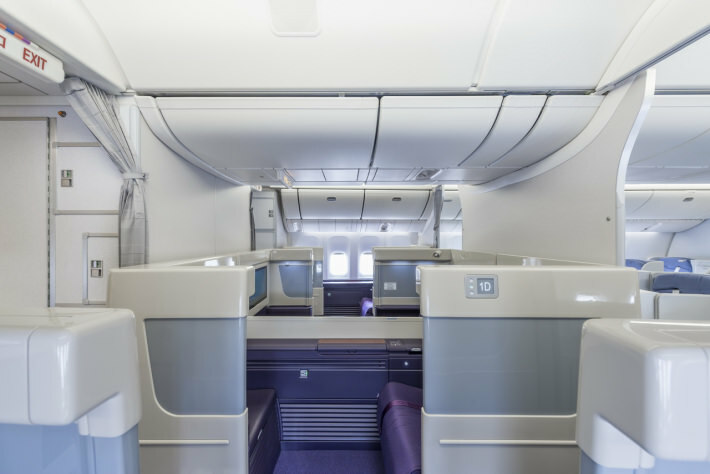 They've used a very unique and attractive color scheme with a deep purple for seats and carpets to hide wear and tear while being softened with lighter pastels at eye level, giving the cabin an airy feeling. 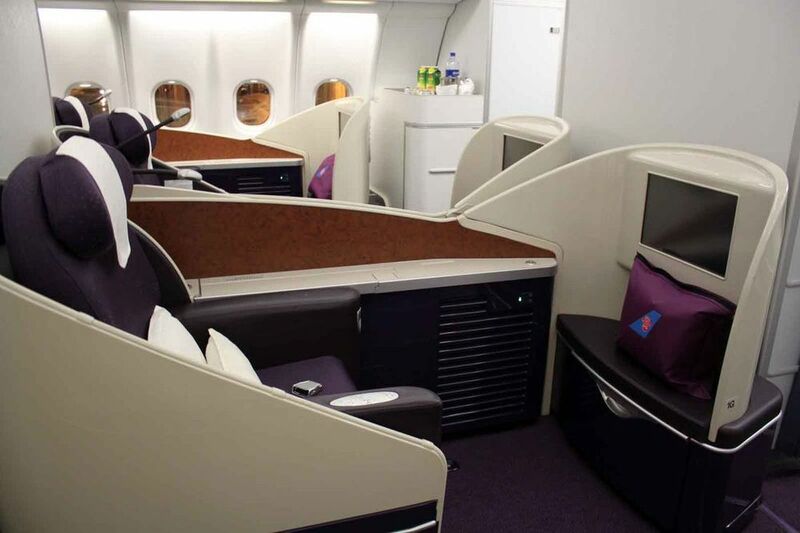 The first class cabin is indeed very attractive. A 23 inch high definition monitor with 33 inches of seat width and 82 inches pitch will place this suite right up with the best in class. Unfortunately with Skymiles you can't book first class. However you can with other Skyteam members or SPG miles. The A330 and 787 have a different first class seat but like the 777, they're only four seats in row one. These seats are not as wide as the seats on the big jets coming in at 26 inches and 78 inches when extended into a bed. Looking at the 787 photo and not having been in the plane, I have to say it looks a little claustrophobic, but that's just an editorial. The first class seat photos below are the 787 on the left and A330 on the right. 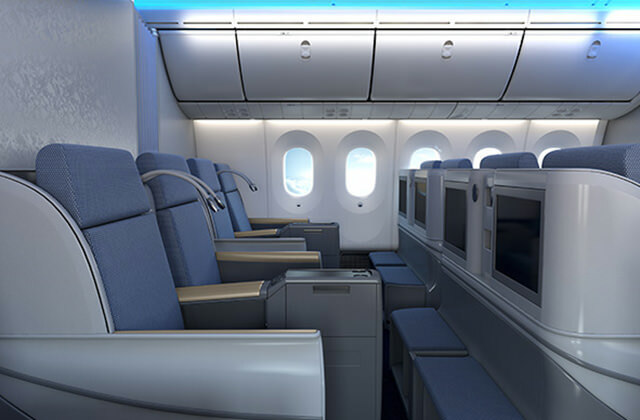 Business class on the 787 consists of 24 B/E Aerospace Diamond lie flat seats in a 2x2x2 configuration. Width is standard business class dimension of 20 inches and extended length is 74 inches, only slightly shorter than first. 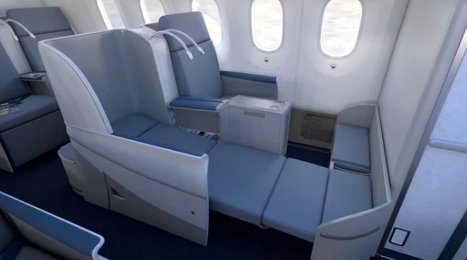 The A330 has similar business class seats as the 787 only they are in a staggered layout in a 2x2x2 configuration. China Souther's website is not up to date on their aircraft inventory. They primarily fly the A380 and B777-300ER to North America. Currently there is a 787 flight out of San Francisco and they have long haul A330's in their fleet. Here is a rundown. A330: Both 200 and 300 series. A380: First 8 / Business 70 / Economy 428 - They have 5 A380 aircraft. Note: First class is called Deluxe and Business class is called First. 777-200 V1: On their website noted as 777B. All have been retired. Have you flown on China Southern? Share your experience with others in the comments section.